The Centers for Medicare & Medicaid Services (CMS) today proposed rules that will expand access to analyses and data that will help providers, employers, and others make more informed decisions about care delivery. The new rules, as required by the Medicare Access and CHIP Reauthorization Act (MACRA), will allow organizations approved as qualified entities to confidentially share or sell analyses of Medicare and private sector claims data to providers, employers, and other groups who can use the data to support improved care. 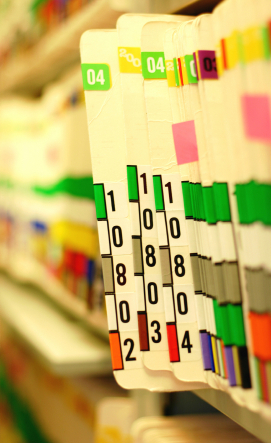 In addition, qualified entities will be allowed to provide or sell claims data to providers. The rule also includes strict privacy and security requirements for all entities receiving Medicare analyses or data, as well as new annual reporting requirements. This initiative is part of a broader effort by the Obama Administration to create a health care system that delivers better care, spends dollars more wisely, and results in healthier people. “Increasing access to analyses and data that include Medicare data will make it easier for stakeholders throughout the healthcare system to make smarter and more informed healthcare decisions,” said CMS Acting Administrator Andy Slavitt. The qualified entity program was authorized by Section 10332 of the Affordable Care Act and allows organizations that meet certain qualifications to access to patient-protected Medicare data to produce public reports. Qualified entities must combine the Medicare data with other claims data (e.g., private payer data) to produce quality reports that are representative of how providers and suppliers are performing across multiple payers, for example Medicare, Medicaid, or various commercial payers. Currently, 13 organizations have applied and received approval to be a qualified entity. Of these organizations, two have completed public reporting while the other 11 are preparing for public reporting.